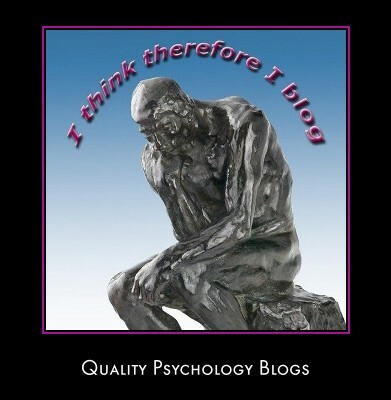 The psychology blogs page showcases the best psychology related blogs on the Internet. Many of the featured blogs cover topics that are directly related to the world of forensic psychology. In addition, you will be able to access lots of well written and very well informed content relating to psychology in general. I have two psychology blogs that you might want to take a look at. For your convenience, the most recent blog posts can be accessed by clicking on the headline animators below. Among the topics covered here are forensic psychology career options, forensic psychology job opportunities and forensic psychology research and practice. Covers a wide wide range of topics from the wonderful world of psychology. The British Psychological Society is the representative body for psychology and psychologists in the UK. The Society was formed in 1901 and now has approximately 43,000 members. The Society’s main aims are to encourage the development of psychology as a scientific discipline and an applied profession. To raise standards of training and practice in the application of psychology and to raise public awareness of psychology and increase the influence of psychological practice in society. The British Psychological Society publishes a very good research Digest that will keep you right up to date with the latest research in psychology. Edited by Christian Jarrett the research digest appears online as a blog. Click Here To Read The BPS Research Digest Blog. Fascinating blog addressing therapeutic technique, including cognitive behavioural and psychodynamic technique. The blog is written and maintained by clinical psychologist Chris Allan who is the Director of the Psychology Clinic at the University of Wollongong in Australia. Click Here To Read Chris Allan's In The Room Blog. This excellent science blog reports on fascinating peer-reviewed developments in cognition from the most respected scientists in the field. The blog is maintained by Dave Munger and Margaret P. Munger who note that the research they feature isn't dumbed down, but it's explained in language that everyone can understand, with clear illustrations and references to the original research. This is a must bookmark resource for anybody interested in the application of cognitive psychology within a legal context as the site regularly features research that has implications within the criminal justice system. Click Here To Visit This Great Blog. "It is a collection of articles addressing current issues of the human psyche. Deborah is a natural writer, humorous, relaxed and purposeful. Her blog addresses all sorts of issues from current affairs to neurobiology. 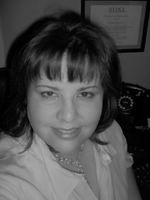 To me, her blog reads like a dedicated professional trying her best to fully appreciate and share all the wonderful developments in Psychology." An excellent review of an excellent blog. I've just added it to my favorites list, I strongly recommend you do the same. Click Here To Visit Dr Serani's blog. One of the most professional and comprehensive blogs I have seen. The purpose of this blog is to collate information of interest in a forensic psychological context. Will be particularly useful for anybody looking for information relating to forensic theory and practice in the UK. Click Here To Visit The Psychology and Crime News Blog. An offshoot of the psychology and crime news blog, this excellent resource provides detailed information and research into applications of psychological research on deception. Click Here To Visit The Deception Blog.